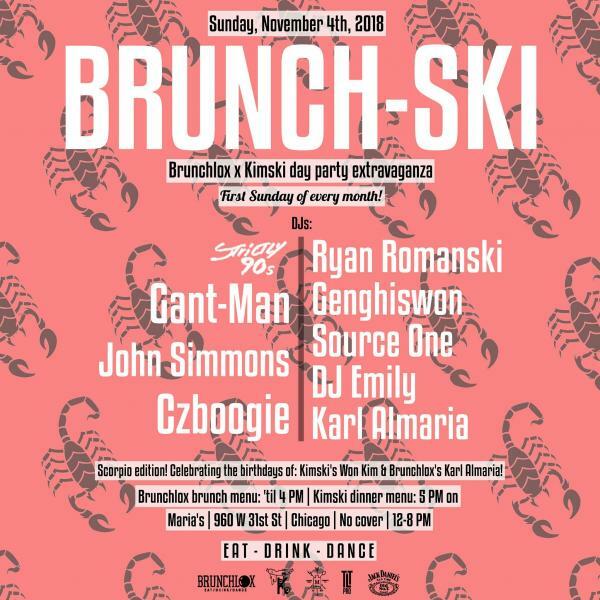 Brunchlox x Kimski day party extravaganza! If you’re a Scorpio, this party is for you. If you’re not a Scorpio, this party is for you. We’ll be celebrating the November birthdays of Kimski’s Won Kim AKA Genghiswon and Brunchlox’s Karl Almaria! Brunchlox Brunch menu by Cindy Knott from 12-4 PM. Kimski Dinner menu from 5 PM on. 40+ draft beers, hundreds of bottles/cans, and delicious craft cocktails served up by Maria’s awesome staff! Proudly serving Jack Daniel’s Tennessee Whiskey.